BOAO, Hainan, April 10 (Xinhua) -- Chinese President Xi Jinping met with Singaporean Prime Minister Lee Hsien Loong at the Boao Forum for Asia annual conference on Tuesday on deepening cooperation in key areas. 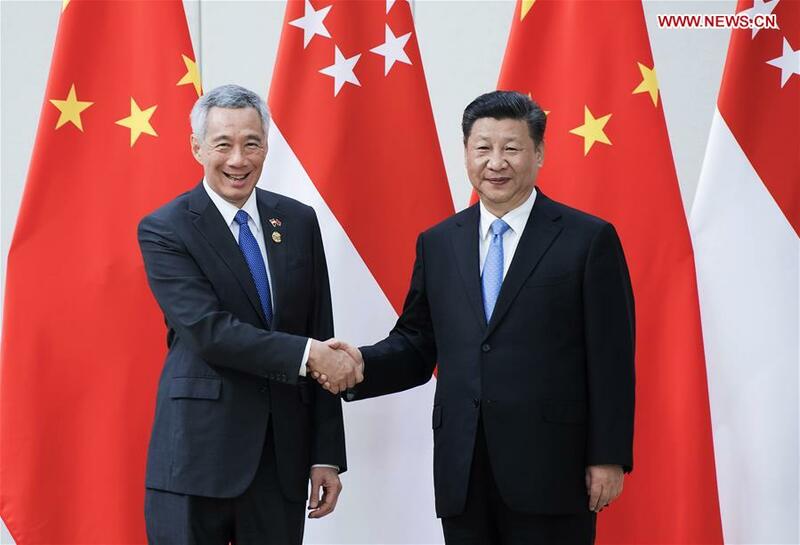 Development of China-Singapore ties is closely related with China's reform and opening-up. The two countries should map out new strategic and top-level planning on promoting bilateral ties and advancing pragmatic cooperation, Xi said. China is willing to strengthen coordination with the ASEAN countries including Singapore, and synergize the Belt and Road Initiative with ASEAN's development plan to build a community with a shared future for both sides, he said. Chinese policies made public recently demonstrate China's vision in planning its own development and its support for the international system, Lee said.